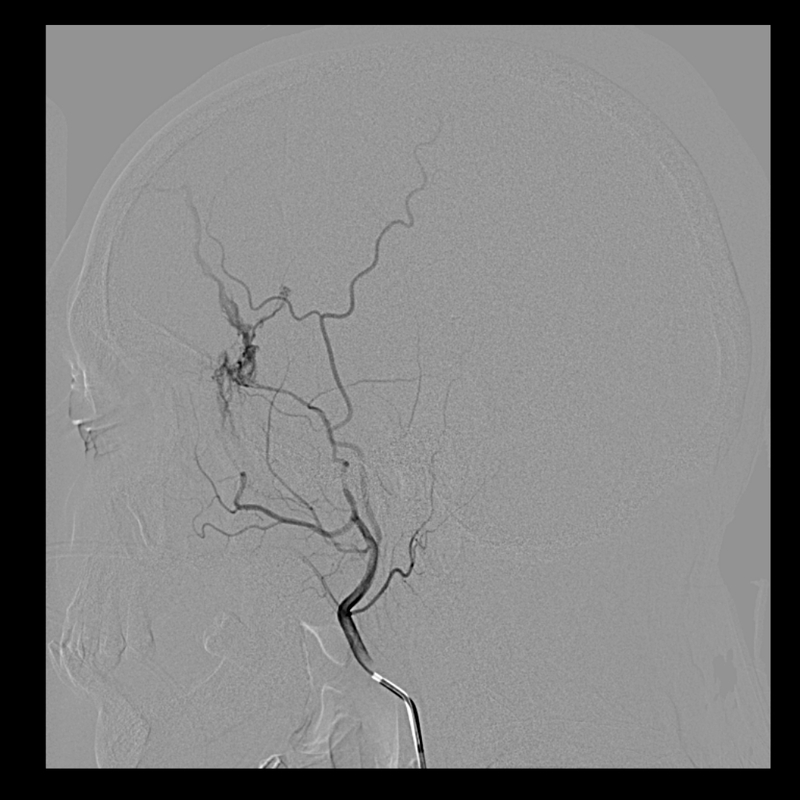 So, another case of Middle Meningeal Artery fistula after trauma. 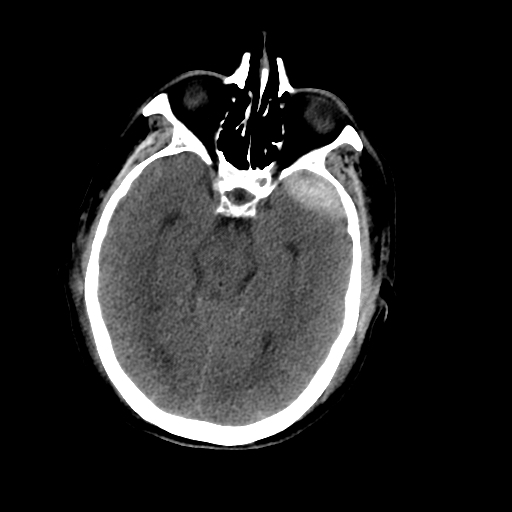 This time with an epidural hematoma. 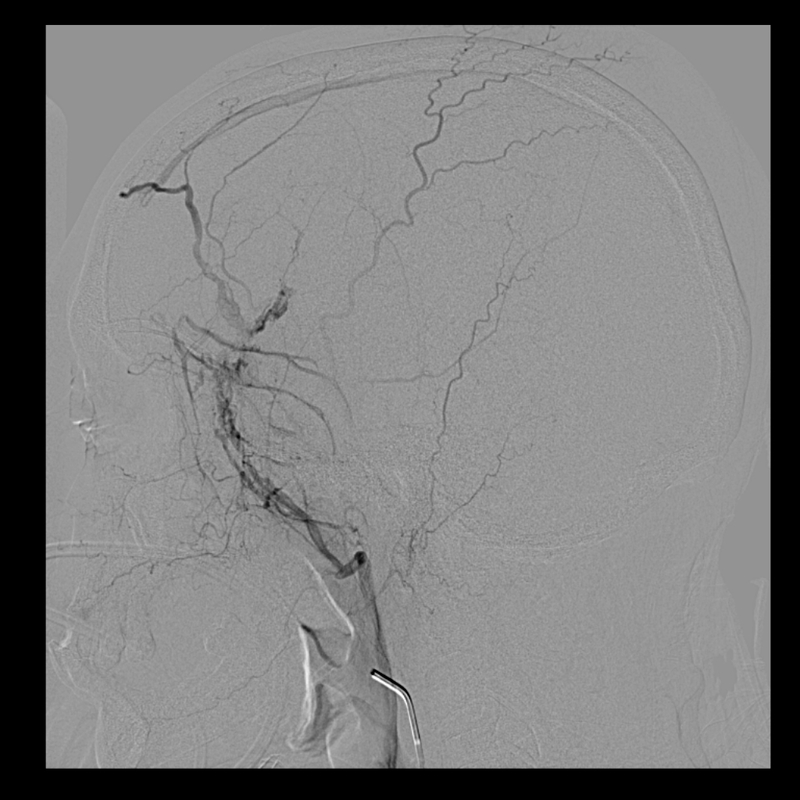 Left external injection, demonstrating fistula between left Middle Meningeal Artery and Middle Meningeal Veins. The location of the epidural is near the site of fistula. 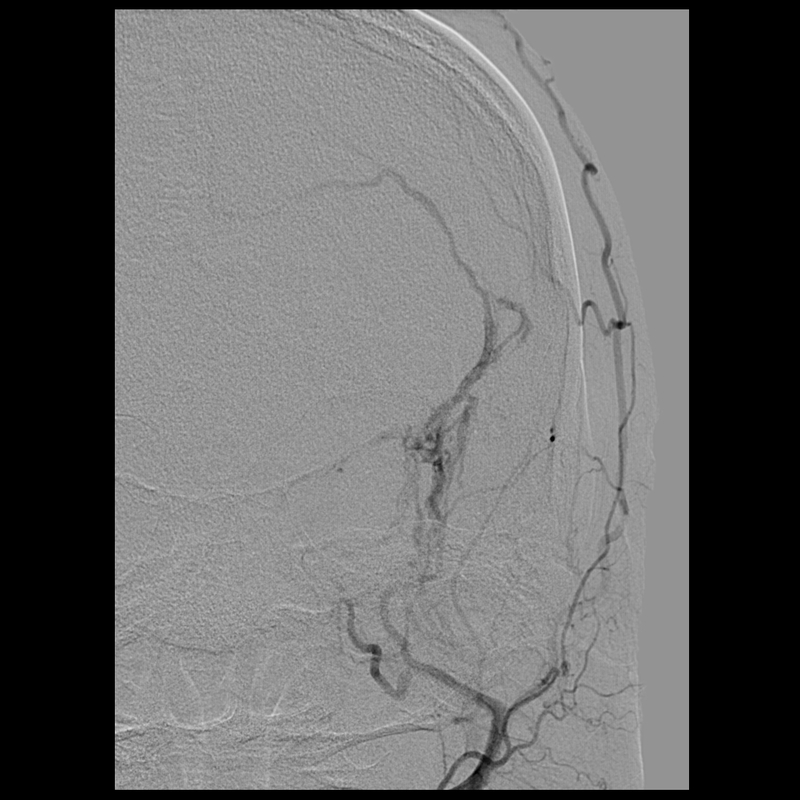 While temporal pole is regarded as a “venous” epidural hematoma, the presence of fistula argues for a more complicated pathology, with arterialized pressures in the fractured veins likely playing a role in hematoma size. 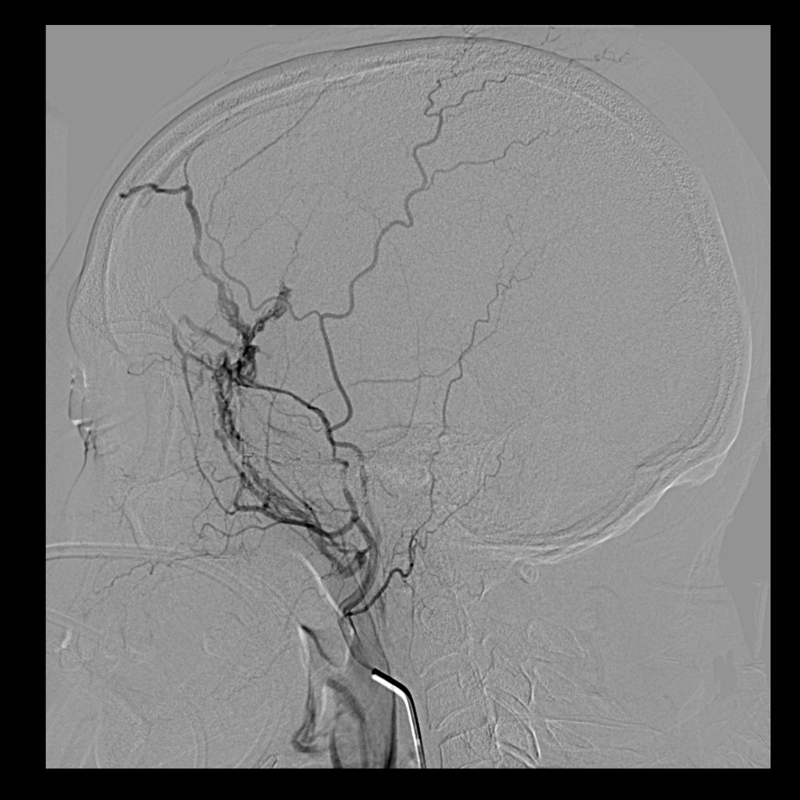 Although not standard of care, epidural hematomas can be treated by middle meningeal artery embolization, which typically arrests growth of the epidural hematoma. 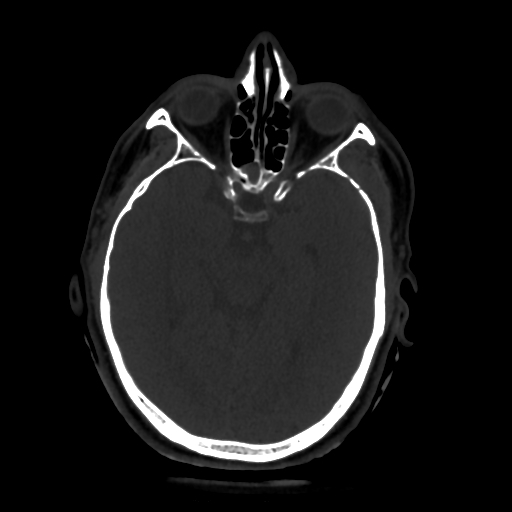 The main treatment is of course surgery or observation for small ones or those in favorable locations, such as this case. Usually the temporal pole epidurals are watched because they are felt to be “venous”. Probably most of these have an MMA to MMV component.